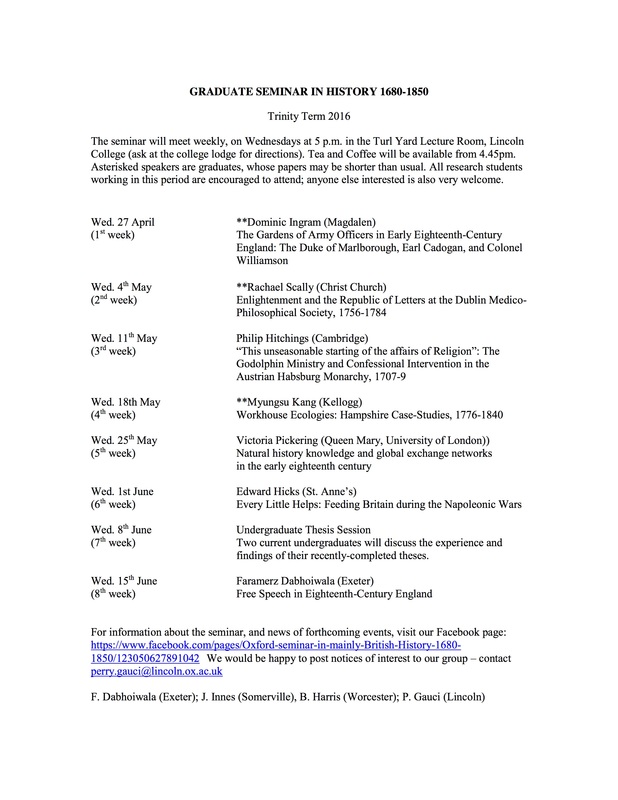 The seminar will meet weekly, on Wednesdays at 5 p.m., in the Turl Yard Lecture Room, Lincoln College (ask at the college lodge for directions). Tea and Coffee will be served from 4.45pm. All research students working in this period are encouraged to attend; anyone else interested is also very welcome. For information about the seminar, and news of forthcoming events, visit our Facebook page. We would be happy to post notices of interest to our group – contact perry.gauci@lincoln.ox.ac.uk. 2nd Dec. (week 8) Ali Yaycioglu (Stanford) Deed of Alliance (1808): A Late Ottoman Magna Carta?